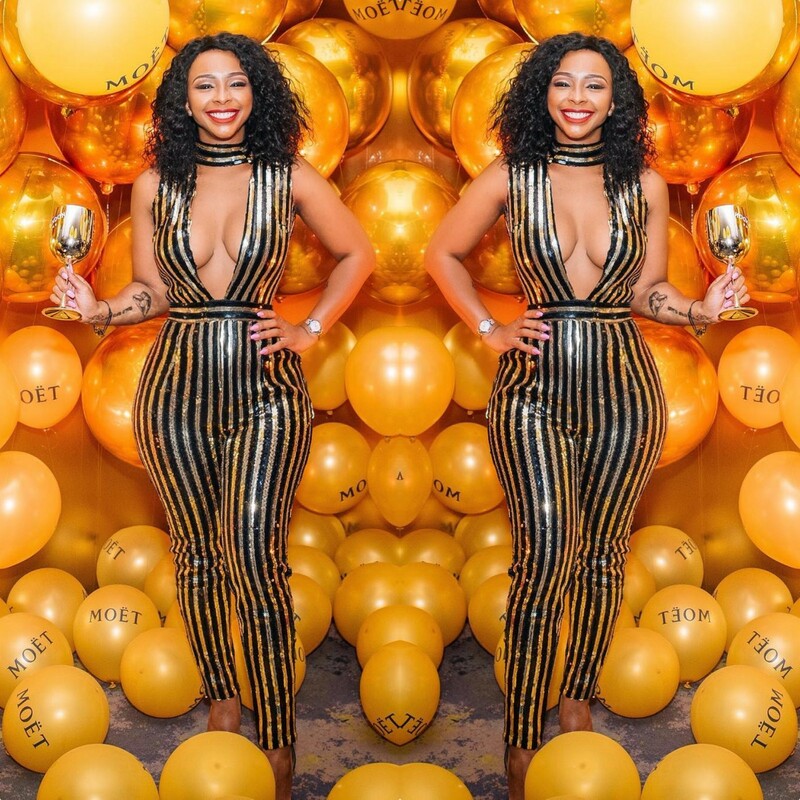 The most fashionable looks 2018,Celebrity style 2018,Who What Wear. wearing hot Jumpsuit mixed with fabrics of zebra and green sequin. 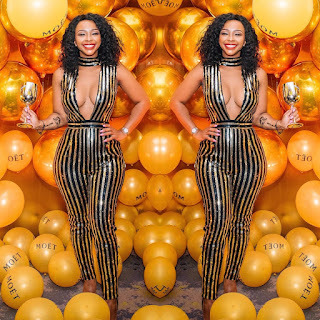 Boity, South African Tv presenter wearing Hot Gold and black stripes Catsuit.